ADEN - Shelling of residential districts in Yemen's third largest city of Taez has killed three children and severely wounded nine others, the UN children's agency UNICEF and witnesses said Saturday. Witnesses told AFP mortar rounds were fired on Friday by Huthi rebels from positions they control in Taez into two residential neighbourhoods, Al-Deba and Al-Sameel, in an area held by government forces. UNICEF said on Twitter that the shelling had killed three children and wounded nine. "Horrible day for Children in #Taiz: 3 children killed and 9 severely injured during a shelling attack in AlDeba & AlSameel," the tweet said. 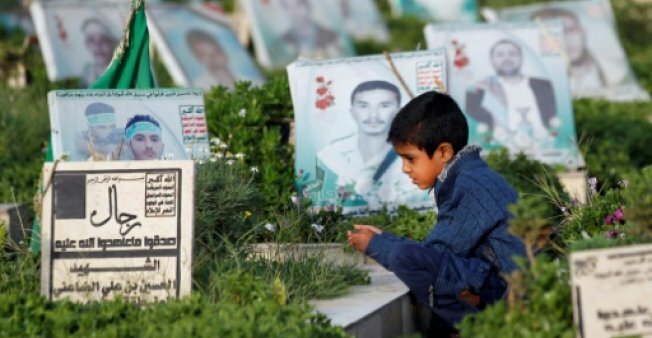 The agency said children should not be a target in Yemen, where government forces backed by a Saudi-led Arab coalition have been battling Shiite rebels for more than two years. A cholera outbreak has also claimed the lives of more than 1,800 people since April, with 400,000 suspected cases across the country, according to the UN and the International Committee of the Red Cross. The United Nations warned in July that 80 percent of Yemen's children desperately needed aid in what the organisation has called the "largest humanitarian crisis in the world". Shelling of residential districts in Yemen's third largest city of Taez has killed three children and severely wounded nine others, the UN children's agency UNICEF and witnesses said Saturday.